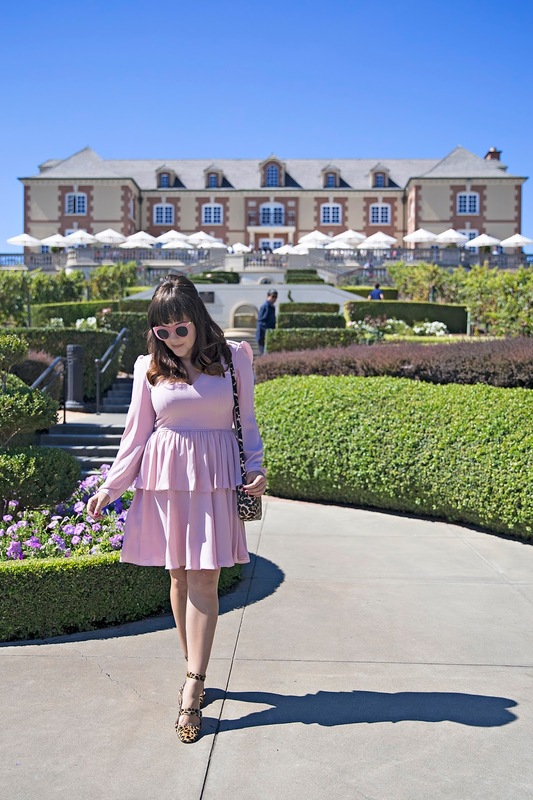 Juxtaposing our day of hopping from one small boutique winery to another was our day spent at two of the largest and grandest wineries in Napa -- the Domaine Carneros and the Beringer Estate. Both estates are stunning and well worth a visit (although their tastings and pours are not as generous... just saying). 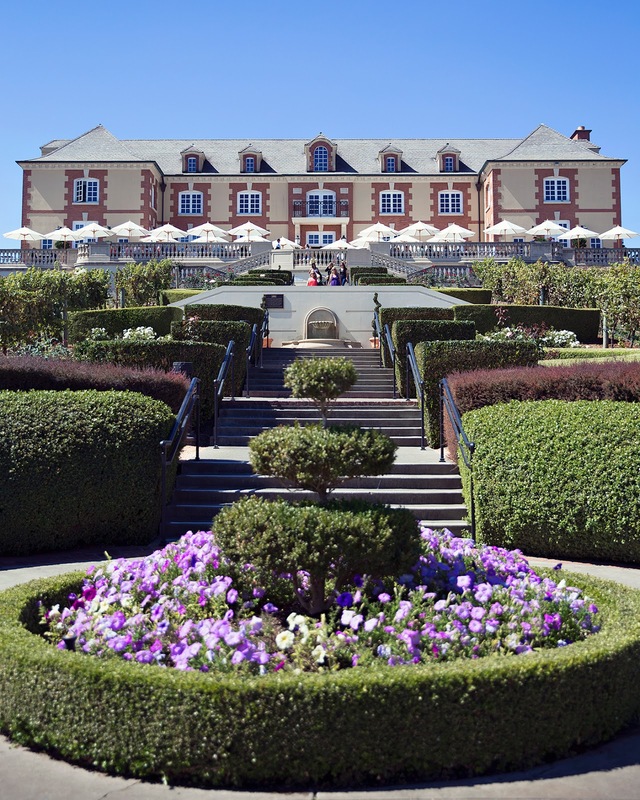 The Domaine Carneros looks like something straight out of the Loire Valley. The stunning and perfectly manicure estate draws a lot of tourists, so be sure to book ahead. Both Emily and I opted for the sparkling wine tasting flight. 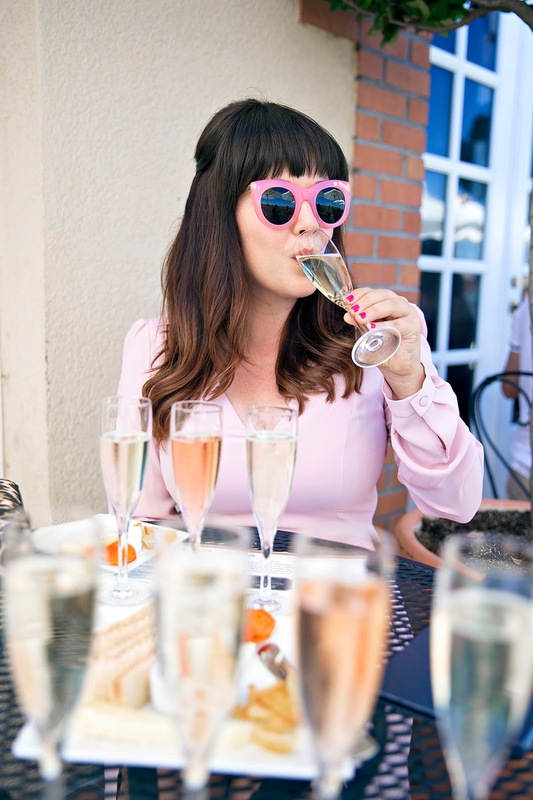 Because you know my motto, bring on the bubbly! 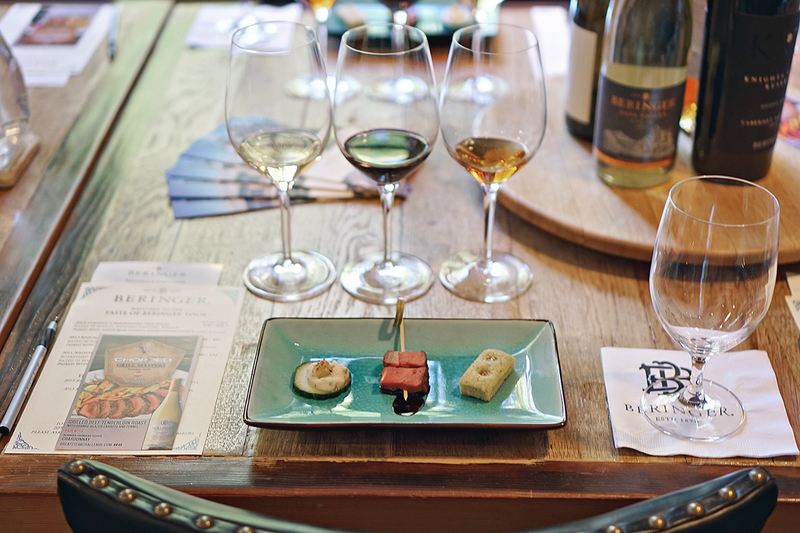 This was probably my favorite tasting of our time in Napa. 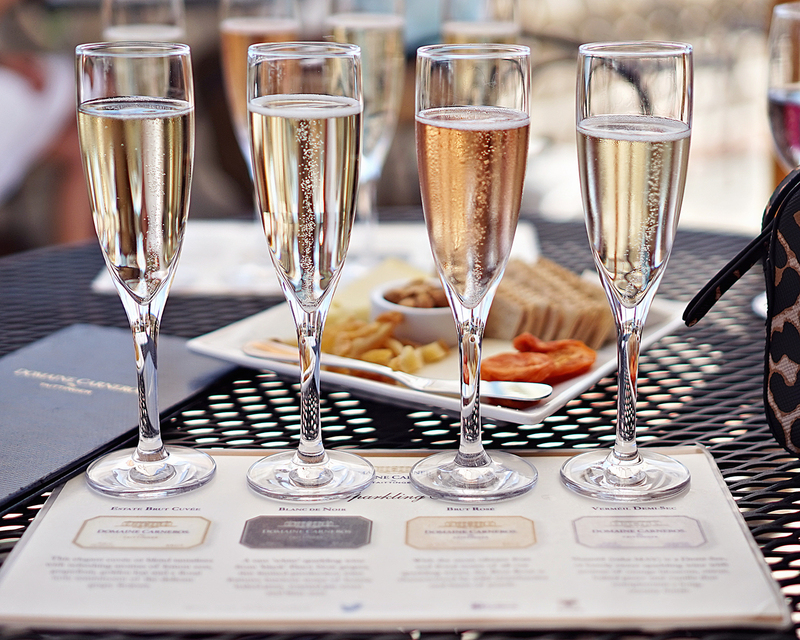 I love champagne (and rosè), which is exactly what this flight was, but of course they cannot call it that because the Domaine Carneros is not in Champagne, France. 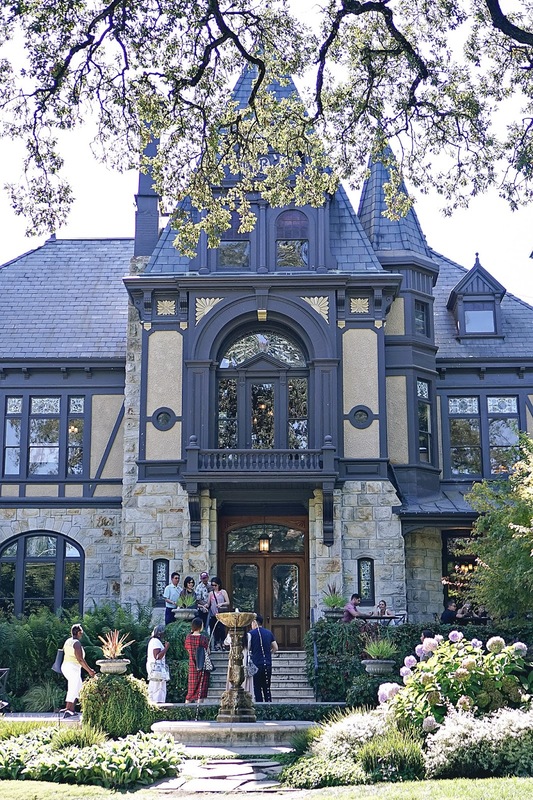 It's the architecture and surrounding grounds of these two wineries that really make them worth seeing. 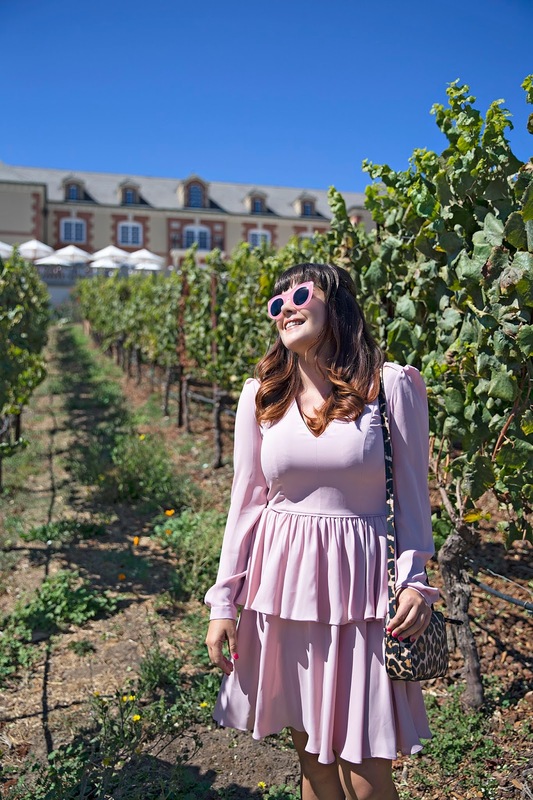 Overall, I enjoyed the wine on our smaller winery tour more (although the bubbles at the Carneros were delish, I just wanted more). Being able to see both sides of the Napa wine industry was great and I am glad we did. After another long day of sipping wine (life is hard sometimes), we opted for a quick stop at Market (in Saint Helena) for dinner. There we indulged in some good old fashioned comfort food -- mac and cheese and jalapeno corn bread drizzled in honey -- before driving back to our hotel in Napa. 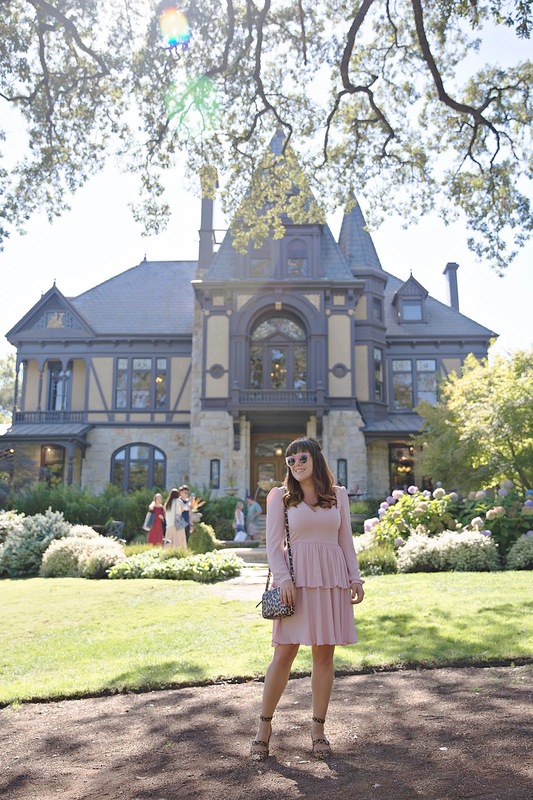 What is your favorite winery in the Napa Valley? I'd love to hear so I can plan for my next trip!